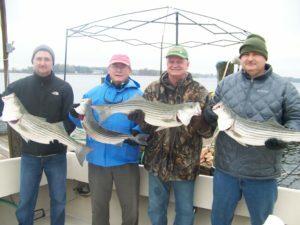 It’s game on from here on out! 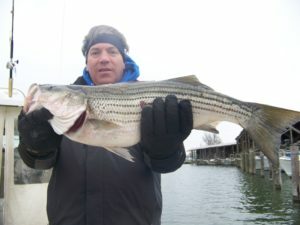 Warmer temperatures are bringing on the fish. 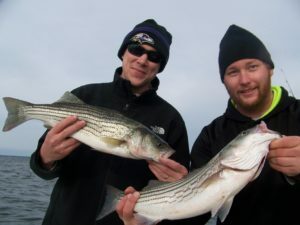 We’ve switched over to chumming using Ugly Stix so lots of action. 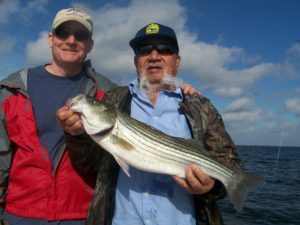 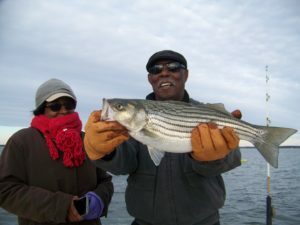 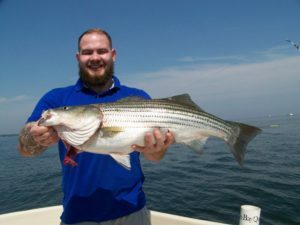 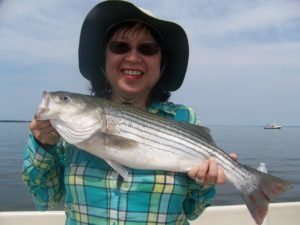 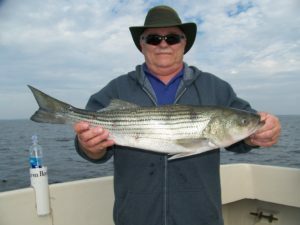 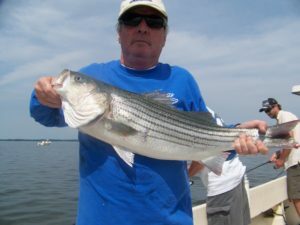 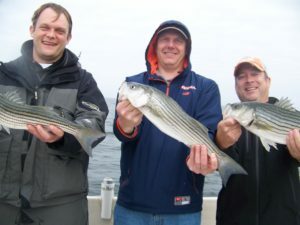 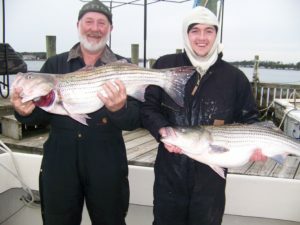 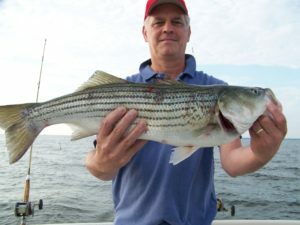 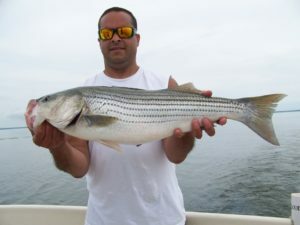 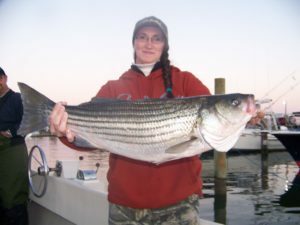 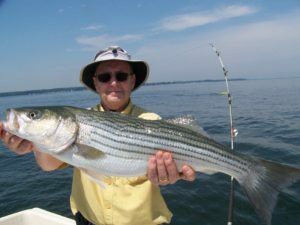 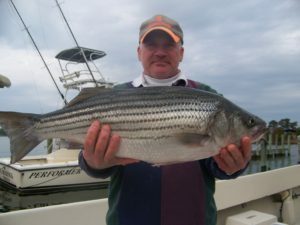 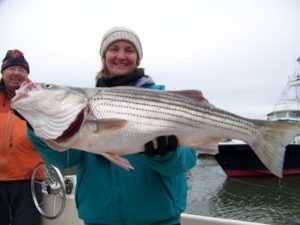 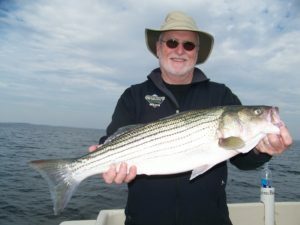 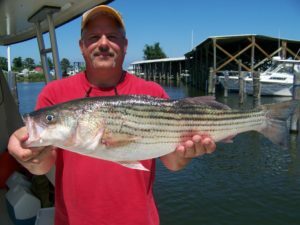 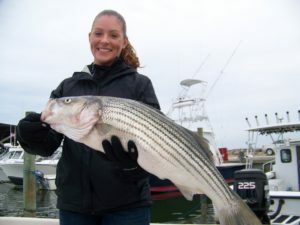 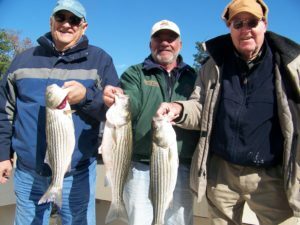 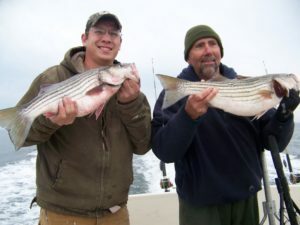 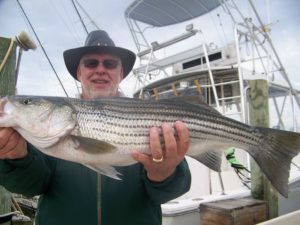 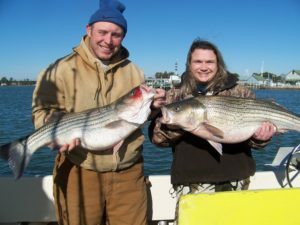 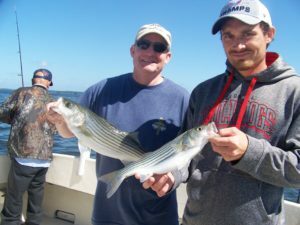 Starting this week we can keep 2 Stripers per person 20”& over. 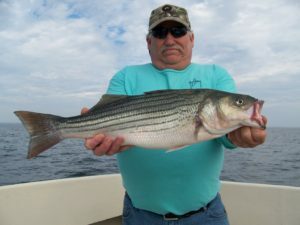 We’ve been catching beautiful fish but they have had to be 35” so haven’t had many trophy keepers. 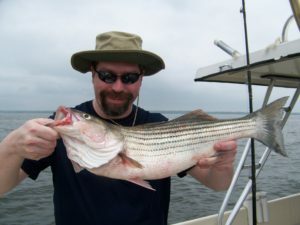 That will be changing & these beautiful fish will be in the cooler. 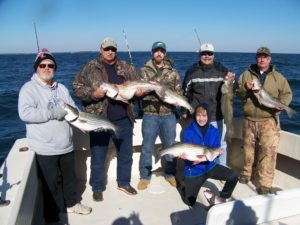 Right behind the Stripers the Cobia will be here & the Red Drum are already in the bay so things are starting to heat up. 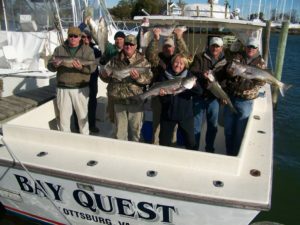 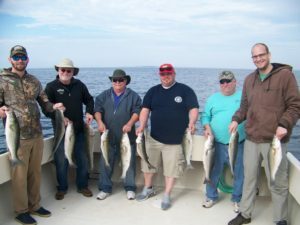 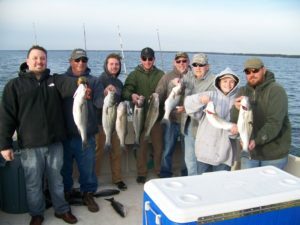 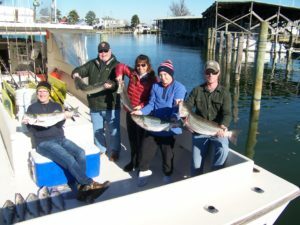 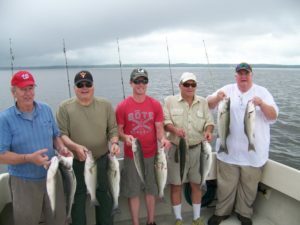 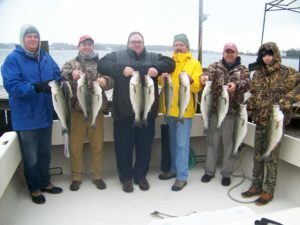 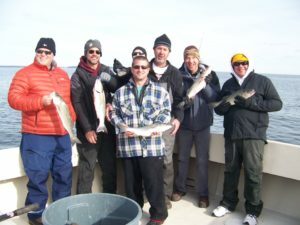 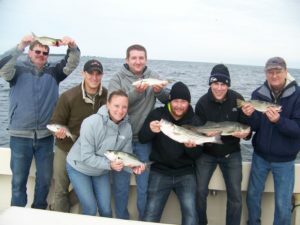 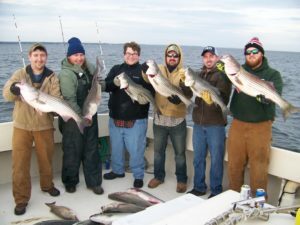 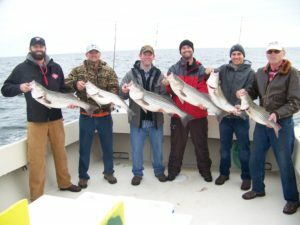 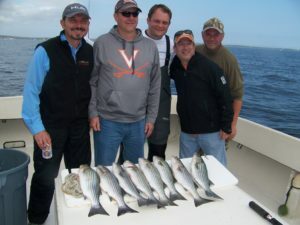 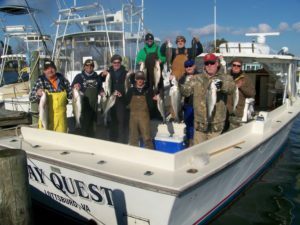 I still have days available for charter so get your group together & let’s go fishing. 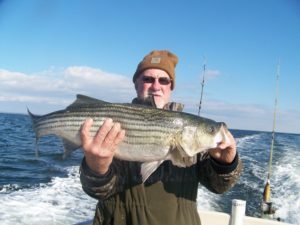 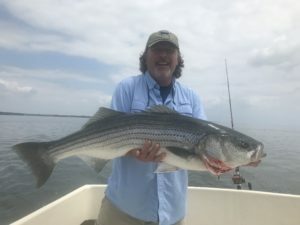 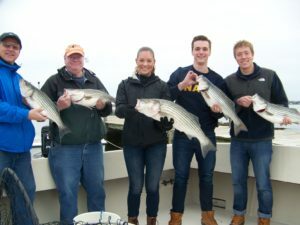 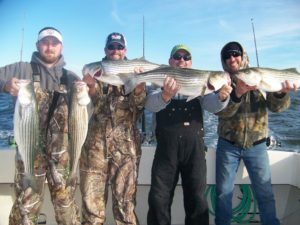 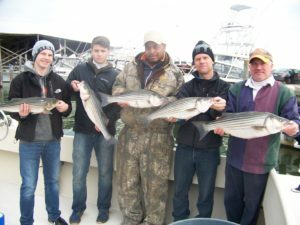 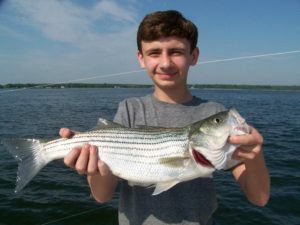 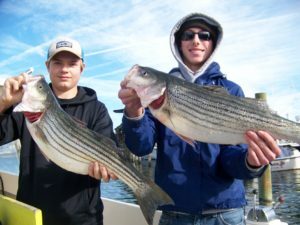 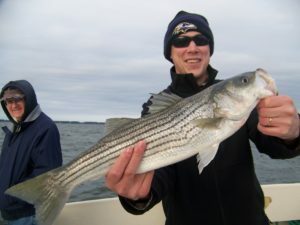 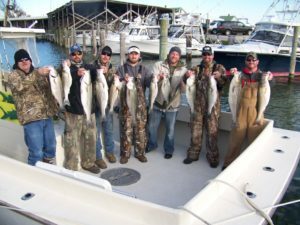 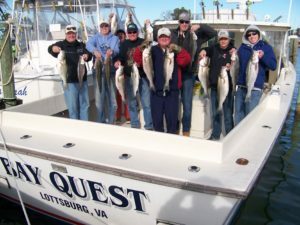 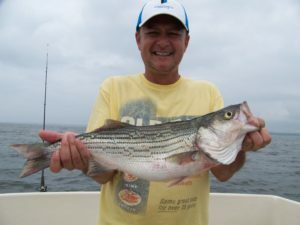 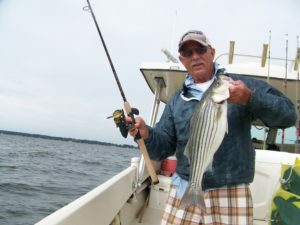 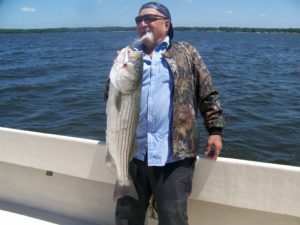 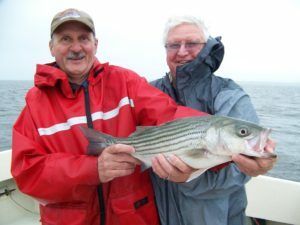 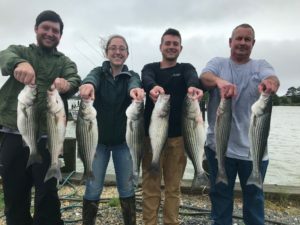 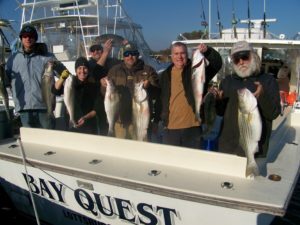 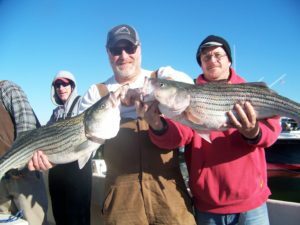 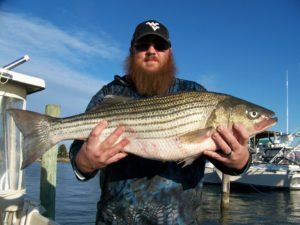 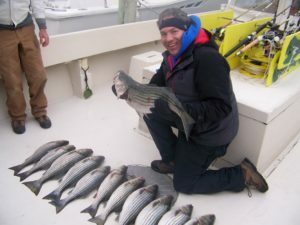 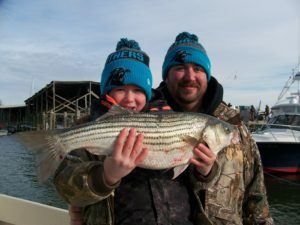 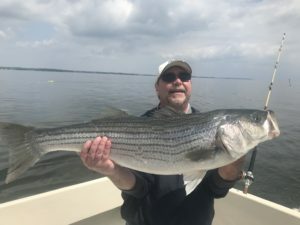 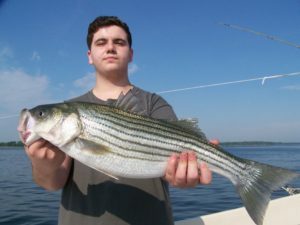 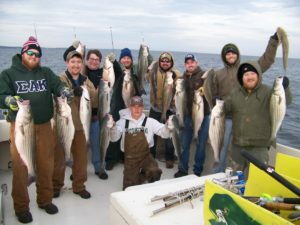 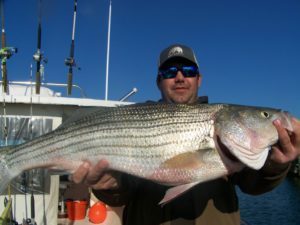 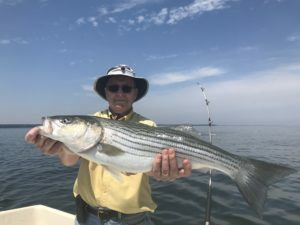 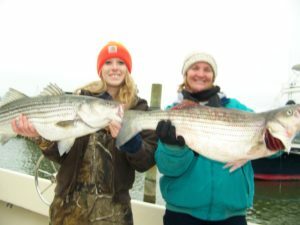 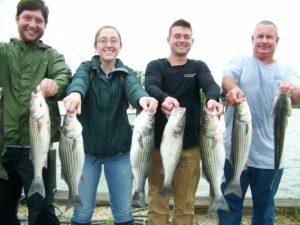 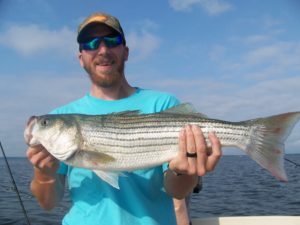 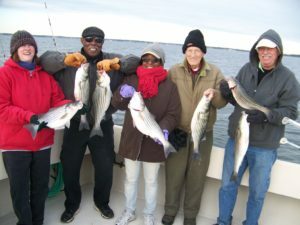 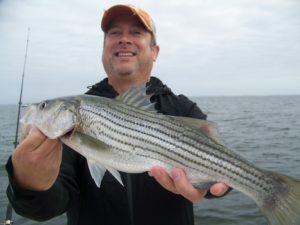 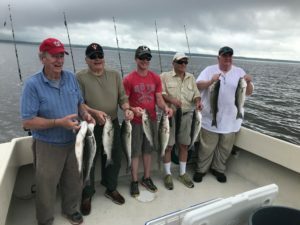 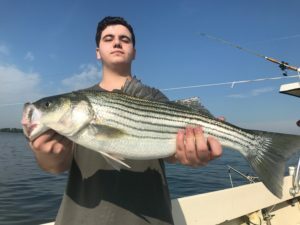 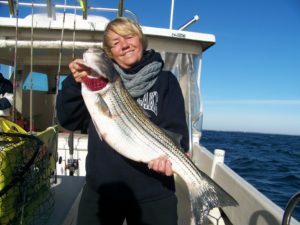 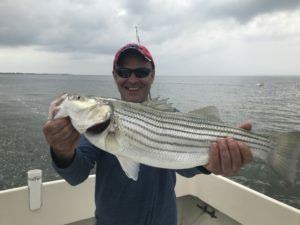 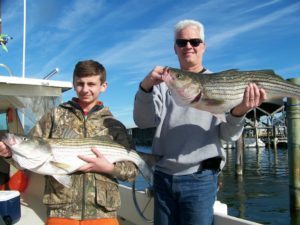 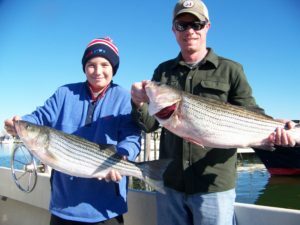 15 Stripers caught. 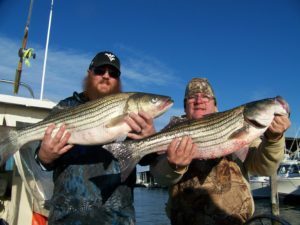 Here’s 3 of the biggest. 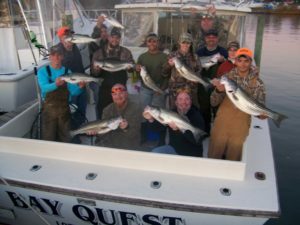 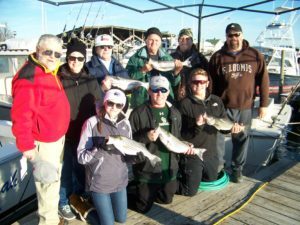 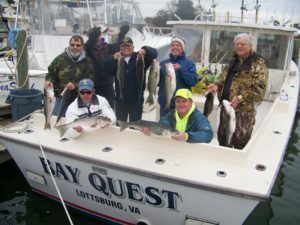 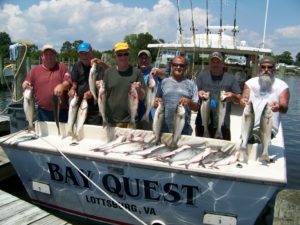 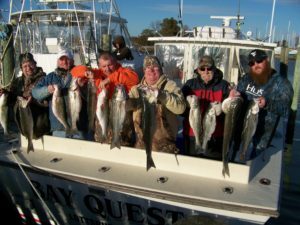 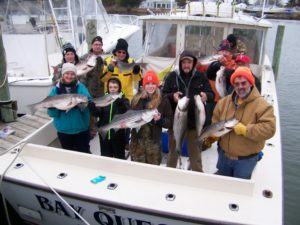 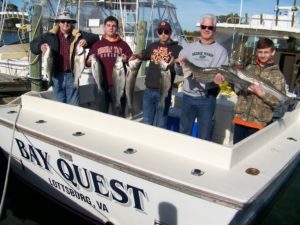 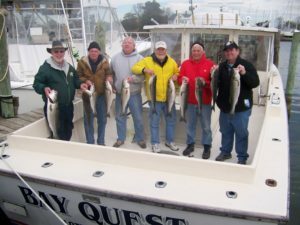 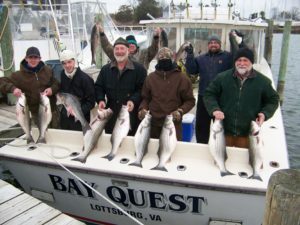 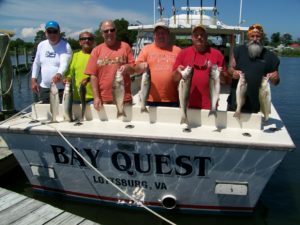 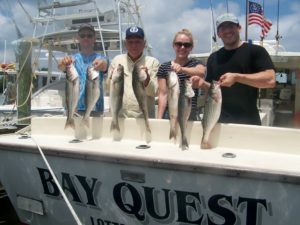 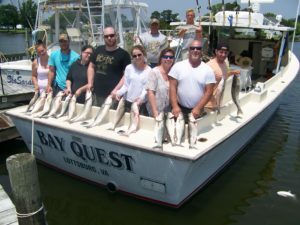 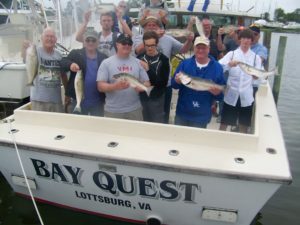 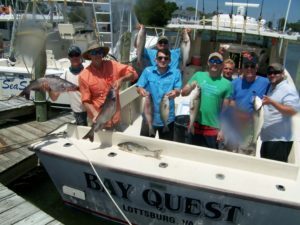 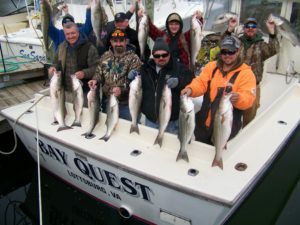 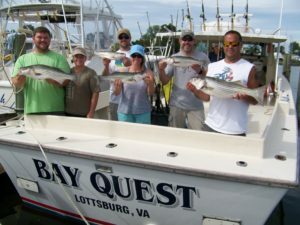 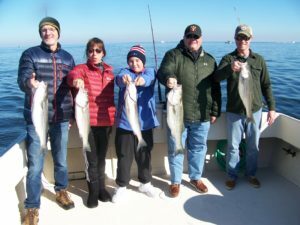 Thanks everyone for fishing on the Bay Quest in 2017. 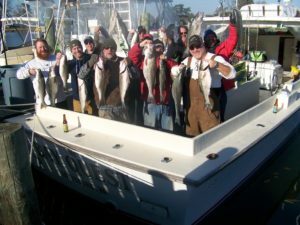 See you in the spring!